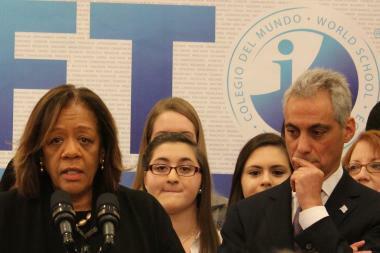 Chicago Public Schools CEO Barbara Byrd-Bennett is asking the public to stay involved in school-closing process. CHICAGO — As Chicago Public Schools officials zero in on the final list of schools to close this year, schools CEO Barbara Byrd-Bennett says public engagement is essential at upcoming meetings around the city. Last week, the district released a list of 129 schools, about a fifth of all the district's schools, that might be on the final chopping block when the final list is announced at the end of March.